What about you? What is translation to you? 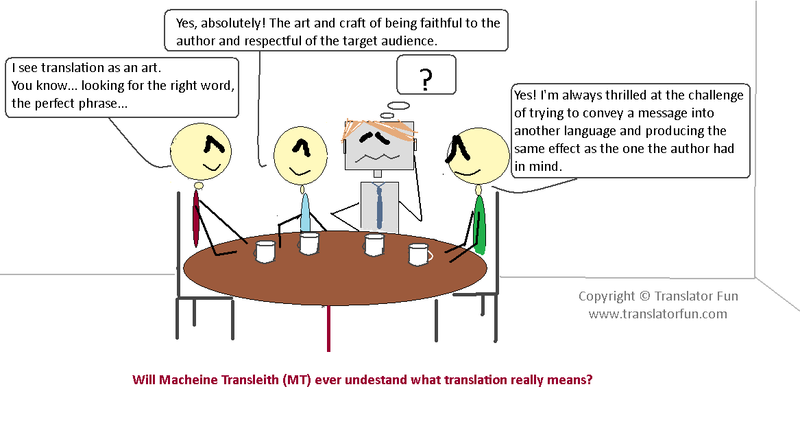 This entry was posted in Freelance translator, Fun, Machine Translation, Translation, Translation Theory and tagged art, cartoon, craft, human translator, Machine translation, MT, translation, translation team, translation theory by Romina Bona. Bookmark the permalink.